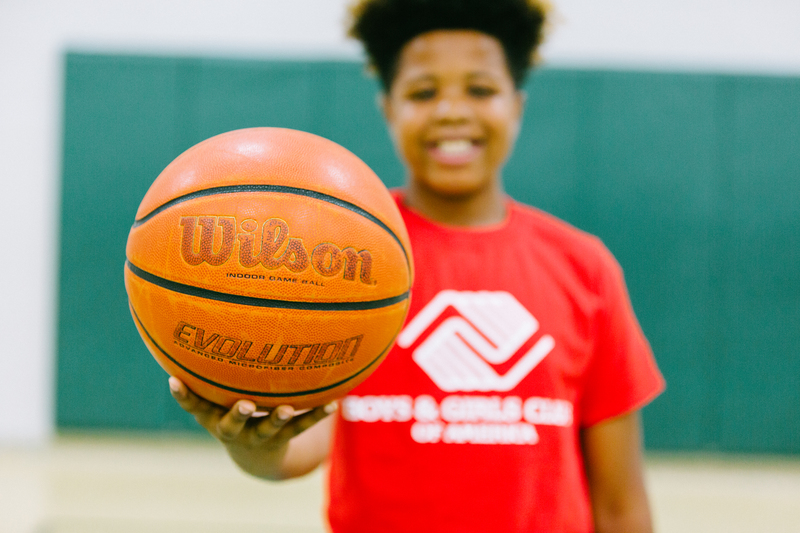 Boys & Girls Clubs of Greater Sacramento is proud to be able to provide youth with fun events, activities and programs that truly make a difference. 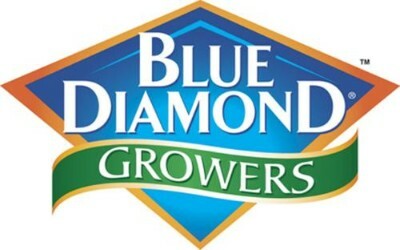 Check out some of our pictures from past events and see us in action. For more Club updates, be sure to follow us on Facebook or Instagram. Our Club Members in Middle School had the opportunity to write essays answering the question, "What Drives Your Dreams?" The contest was sponsored by Ford Motor Company. The essays were evaluated by a committee of community members and our top 3 finishers received a Mac Book and prize money! Thank you to Daniel at Future Ford Sacramento and Tommy at Downtown Ford for helping us recognize our winners! 14th Annual WE CARE event with MTA Inspired Spaces and their colleagues from the design community was loads of fun. Club Members at our Teichert Branch were able to make crafts and art projects and even wrap them to give to their family members. Santa was available for visits with our Club Members, too! December 2017- Anjali World, and Jaws for Paws sponsored a shoe giveaway at our Raley Teen Center. Sacramento Kings' shooting guard, Buddy Hield even stopped by for the fun! Les Schwab Tires stores held a toy drive during the holidays, and a convoy of Les Schwab employees and truck delivered the toys to our Club. 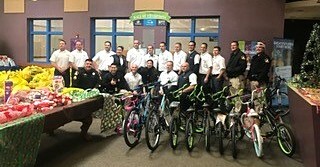 They collected over 1,000 new toys and 50 bicycles for our Club Members and Santa Land celebrations! Thank you Les Schwab Tires! Sutter Health employees had a team building bicycle build event. We were thrilled to bring some Club Members to the even to pick out new bicycles. The kids were so excited about their new bikes! 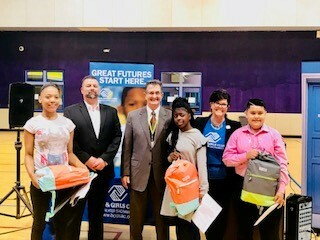 The Club was honored to be selected as one of the recipients of the funds raised through the Sacramento Rotary Club's Century Challenge event in October 2017. 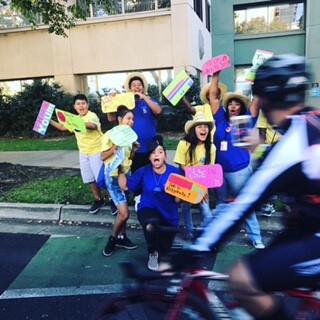 Our Keystone Club teens were so excited to cheer on the cyclists as they crossed the finish line with their homemade signs and cowbells! 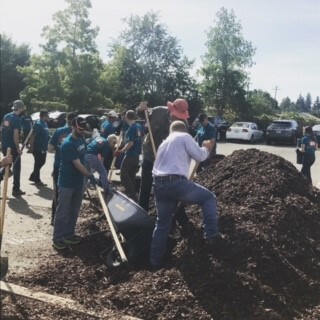 We were so thrilled to host SMUD at our Teichert Branch for SMUD Cares day in celebration of their 70th Anniversary. SMUD employees completed several beautification projects at the Club including landscaping, painting classrooms, and creating a new outdoor classroom space on our patio. Thank you SMUD! 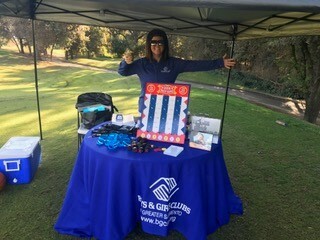 We had a great time attending the 11th Annual Turner Construction Golf Tournament in September 2017. We were thrilled to meet some golfers who attended Clubs as kids! We are so grateful to Turner Construction for their continued support of the Club. United Healthcare visited our Edward Kemble site to talk about bicycle safety and they gave away helmets to each of our Club Members! 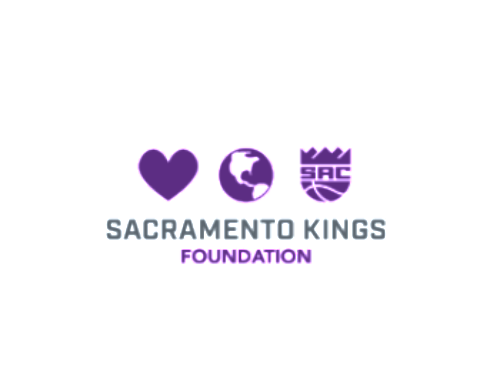 At the end of September, 2016 Taco Bell sponsored the Up With People tour and stage show in Sacramento, benefiting The Club. The cast had a culture fair at our Hillsdale Elementary site for the students. The Up With People show raised nearly $18,000 for The Club. Thank you Taco Bell! Taco Bell is a proud sponsor of our "Graduate for Mas" program. 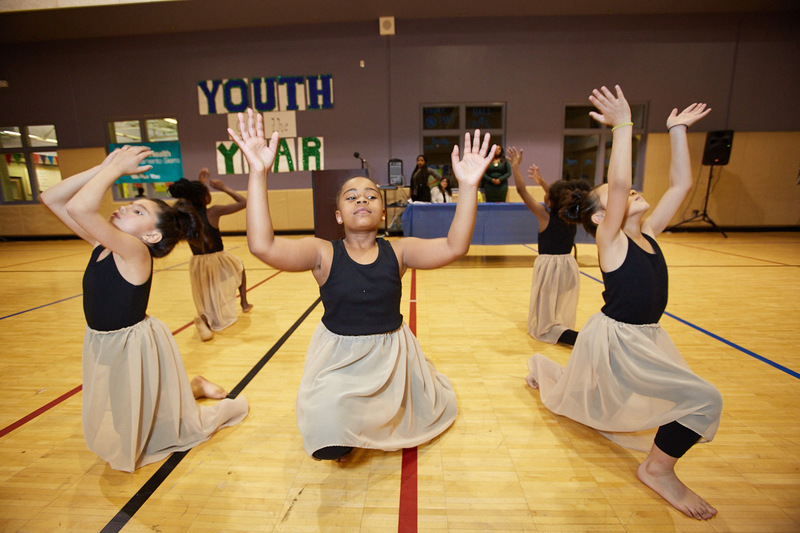 We celebrated the Class of 2016 with a graduation event at our Teichert Branch. Over the last 3 summers we have partnered with Bank of America, hosting teens for their Student Leaders Program where they learn about the inner workings of a non-profit agency. They also spend a week at a summit in Washington D.C. with Student Leaders from around the country. 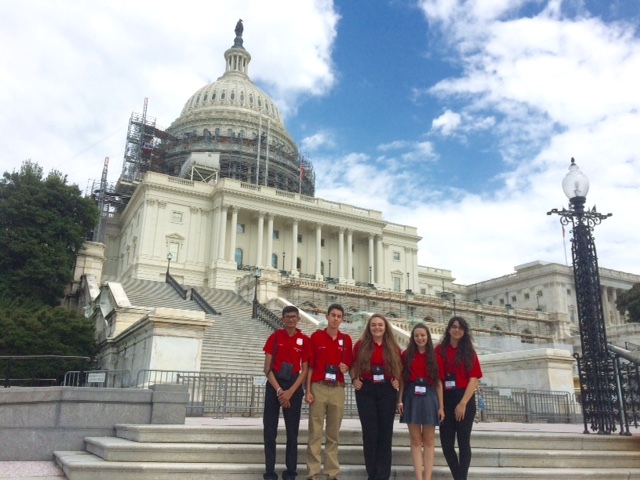 Here are our 2016 Student Leaders in front of the U.S. Capitol.